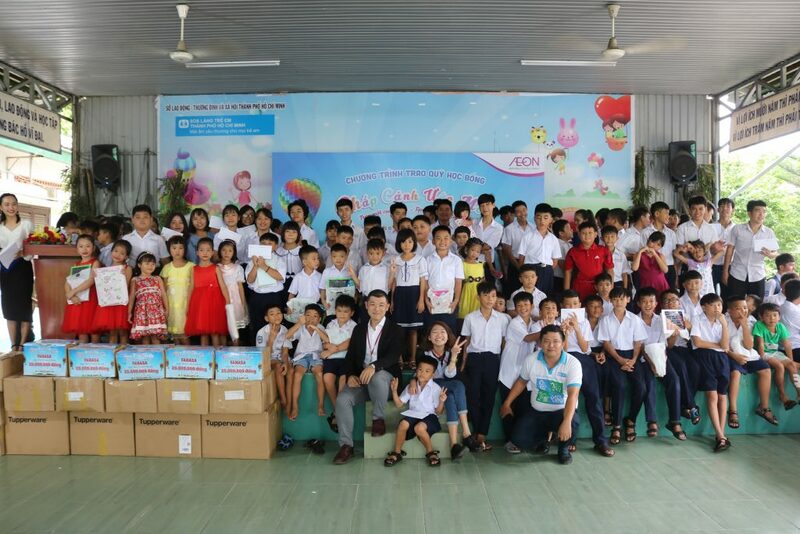 – 4,183 books were donated by FAHASA Co., Hoa Hoc Tro magazine, AEON MALL Tan Phu Celadon’s customers and many school clubs such as Nguyen Chi Thanh high school, MIKI English Union, Ho Chi Minh City University of Education, Tran Phu high school, The 8760+ Project and Thanh Duy Idol’s Fan Club, etc. – 30,000,000 VND was donated for “Brighten your dreams” scholarships (11,910,000 VND was funded from 1,190 shopping bills which are worth from 1.500.000VND at AEON MALL Tan Phu shopping mall). – 20 calculators model CASIO 576-VN Plus which total value is 10.000.000 VND. To achieve such great results in the campaign, we spent precious moments together, had chance to meet famous authors like Thanh Duy Idol, Hamlet Truong, teacher Truong Pham Hoai Chung, Rosie Nguyen. Moreover, we have chance also knew more about the life of children at SOS village through touching stories. We cannot achieve the success of this campaign without enthusiastic cooperation from all customers at AEON MALL Tan Phu. Together we are supporting for the dream of children in the SOS Children’s Villages in Go Vap district. This success will motivate us to bring more meaningful activities in the future.